I have started to collect infographics from around the web. 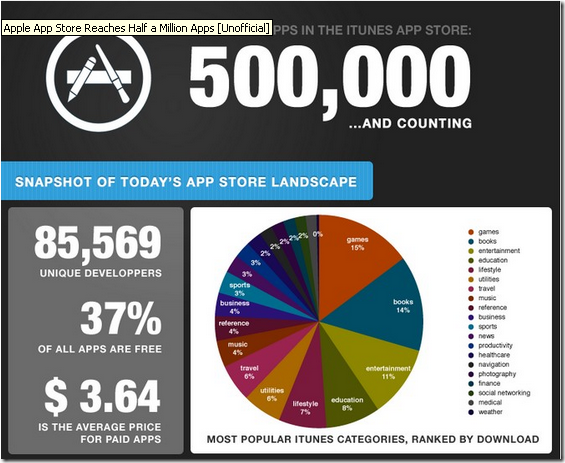 Here is one made where the Apple App Store has reached half a million apps milestone! 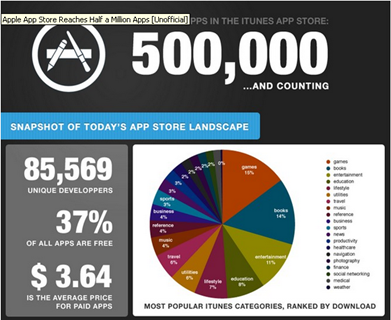 You can see the infographic in full size here.